I love fruit! It’s yummy and refreshing! 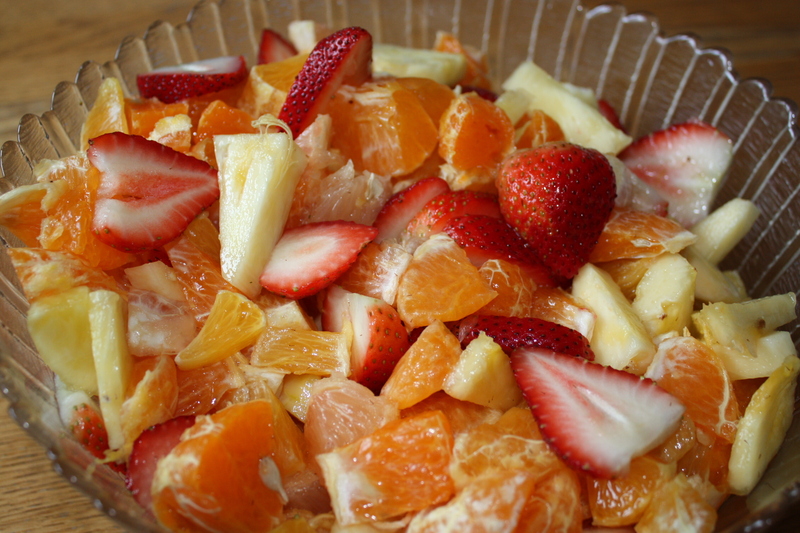 Peel and segment oranges, tangerines, tangelo, and grapefruit and cut them into smaller pieces. Cut pineapple into cubes, slice strawberries and put all ingredients into a bowl.